Publicis’ Starcom USA announced a series of leadership appointments within its financial and client-facing divisions today. 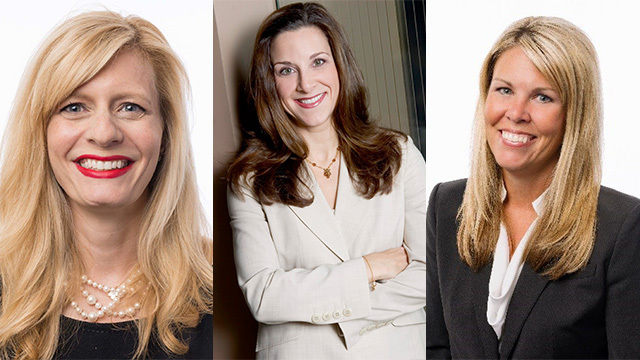 Danielle Gonzales and Karla Knecht were both promoted to positions as president, chief client officer, while Kristina Lutz was hired as president of investment. Gonzales will oversee half of Starcom USA’s client roster, as well as its Los Angeles office. She previously served as executive vice president, managing director of Starcom’s multicultural unit and has also led data driven media for Kraft Foods and led the media agency’s global Burger King account. She was named to Adweek’s list of “Media All-Stars” for 2012. Knecht will be responsible for overseeing Starcom’s Performics arm and New York office, in addition to half of its client roster. An agency veteran of over 20 years, Knecht most recently served as executive vice president, managing director. She originally joined the agency back in 1995. Lutz will be tasked with leading Starcom USA’s investment and activation team. She joins the agency from iHeartMedia, where she has spent the last four years and most recently served as executive vice president of automotive business development and partnerships. An industry veteran of over 20 years, Lutz rejoins Starcom after serving a previous stint of around four and a half years as senior vice president leading activation and media investment for Bank of America before leaving for iHeartMedia. Lutz replaces Amanda Richman, who will become U.S. CEO at rival media agency MEC in October as it merges with fellow WPP shop Maxus.